Classy Jazz with that Old Hollywood charm. JB & the Showmance Band is a Jazz Ensemble covering a wide range of styles. Soulful melodies and fascinatin' rhythms will add magic to your event, party or session. JB & the Showmance Band features Broadway-caliber vocalists, songs that never get old and the top Jazz musicians in NY & LA and beyond. JB & the Showmance Band has combos to cater to the many tastes of Jazz through history. 1920s and Gatsby-themed music, Cafe Paris Jazz Combos, New Orleans & Dixieland Bands, Sinatra & Tony Bennett-styled groups, and Jazz Quintets, Quartets, & Trios. We look forward to working with and serving you! Cheers! We needed a jazz duo for our party and these guys delivered beautifully. They were punctual, polite, and responsible, but above all, they played wonderfully. Best Jazz/Swing Band You'll Ever Find! We hired JB and the Shomance band to play for our wedding at Noor in Pasadena, and were completely blown away! JB has an amazing voice that fits perfectly within the 40's-50's. Everyone questioned our decision for music until they showed up and heard for themselves. The biggest compliment we received from all our family and friends were about JB and the Showmance Band (closely followed by the food)! We cannot recommend them enough! We hire JB every year for our holiday party. Very talented guys that put on a great show! So easy to work with and they helped give me the wedding of my dreams! I'd highly recommend to anyone looking for a mix of talent and professionalism. Thank you so much for trusting us with such an important day! We are so happy you enjoyed and Congratulations! JB was so great from beginning to end! He arrived early and was set up and ready to go with his group well before the guests arrived. The music was perfect and fit our “Old Hollywood” party theme just beautifully. The group was very professional and I appreciated them staying over a little extra for our lingering guests. I really can’t say enough wonderful things about this group! Thank you guys for making our party a hit! Our law firm just enjoyed our Holiday Party at Mr. C Hotel in Beverly Hills. The theme of the event was a roaring 1920's Gatsby-inspired affair. We hired JB & the Showmance Band to perform some up-tempo tunes during cocktail hour. JB was on piano with a jazz horn player to accompany him. Our guests were blown away by how good the duo was. The song selections and performance was so on theme and so good - it really created an awesome environment. Both performers dressed the party as well, and JB was amazing to work with. He was attentive to all my emails and the requests of the firm. There is a high level of sophistication that we expect from our holiday party and our vendors, and JB & the Showmance Band definitely did not disappoint. We will certainly be hiring them for future events. JB and the Showmance Band were a huge hit for the opening Gala of our performing arts center. Their songs couldn't have been more appropriate for the audience. I would highly recommend them to anyone and everyone!! I booked the band for a homeless senior center’s thanksgiving party. It was a huge success! Super professional from start to end. The seniors loved them and they were on time and very flexible with everything. Everyone was impressed including our volunteers. I would recommend them in a heartbeat. Book them!!! Thanks so much for a great event!!!!! We had JB and the Showmance Band for our small, intimate wedding and we couldn’t have been happier with them. My partner and I have a lot of musicians in our families and they LOVED the talent in this group! JB was very responsive via email — he asked what type of music we were looking for and took requests. The group showed up dressed to the nines, and their energy really added to the fun that night. Highly recommend! I can’t believe how lucky I got with JB. He really came in asking what I wanted, I told him what I liked and he pulled together the most incredible selection of musicians, playlist of songs and order of service. My husband wanted a few obscure film scores in the ceremony, and JB not only knew them off the top of his head, he arranged them all for strings! I didn’t know what music I wanted for the recessional so I just told him what kind of thing I liked, but that I’d prefer something unknown. He pulled out three amazing options. Literally every wildest dream I had, he delivered. I even played him an old English comic song which I knew my parents would love, and he ROCKED it. I loved working with him, he’s such a professional and music is clearly his life. Showmance were a real highlight of our wedding preparation, the day itself and now of our wedding video and photos. I’m just so delighted that we found him! The BEST wedding decision I made! This band is what inspired the entire theme for our party. We had a gatsby themed 40th bday party. They were the entertainment for the first hour and half, when the guests first arrived. They Really set the tone for the entire night, for a "roaring" good time!!! :). They were upbeat, talented and Very Professional. They really made it feel like a 1920's Boardwalk empire club. AMAZING. Would highly recommend. on time, talented, friendly, versatile, made our party a memorable event. Thanks Doug! It was so wonderful getting to entertain you and your fun friends! Hope to do it again! We enjoyed our experience working with this band. They sounded great, and were incredibly professional and reliable. Always loved by our guests! JB & the Showmance Band are always great! Our guests loved them at this event and they are always super friendly and easy to work with. We will book them again and would definitely recommend them to anyone! Fabulous Band for Cocktail Party! I hired the JB Showmance Band for a recent Wine Event & Auction. They arrived early and were very professionally dressed in nice Tuxedos. They gauged the crowd nicely and made for fabulous accent music for our Event. I would definitely recommend them for your next Event! Always a hit at our events! JB & the Showmance Band are always a hit at our events. Whether you need an Old Hollywood vibe, or a take on a Classic Gatsby Era sound, JB & the Showmance never disappoints! Always friendly and professional to work with and a true crowd pleaser. We will happily book them over and over again! The band was extremely professional Nd easy to work with. Guests absolutely loved the music. 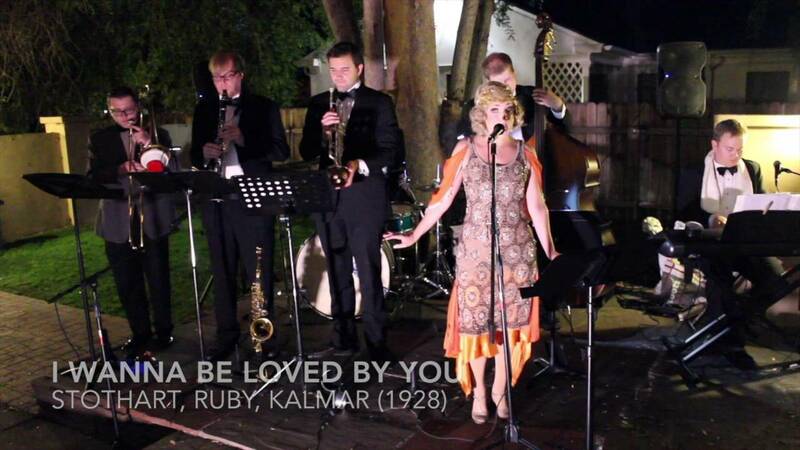 The band was excellent and a perfect addition to our 1920s themed party! It felt like stepping back in time. Thanks Aaron! It was our privilege to entertain! Thank you for having us! JB and the Showmance band were great! They made the night even brighter! I give them 5 stars for their sound, talent and the way they presented themselves! Thanks for making our event a hit! I own a restaurant and I hired multiple bands to entertain my customers but nobody has ever been as nice, professional, hard working and talented as these guys. They played amazing Jazz for our patrons who were dining and then they sang pop hits when it was time to celebrate the new year. AMAZING! I definitely suggest them! Bravissimi! JB & the Showmance Band were quite the band! Sounded amazing and put on a great show. They even did a great job of reading the crowd. Everyone enjoyed JB's piano and singing! Thanks Jon! It was so nice to play for you and your friends and family. Thanks for your generosity! Hope to buy one of your paintings some day!! Great showmanship and perfect for our Gatsby theme. I had this band guest-star at my show at Cicada and they were absolutely wonderful! True throwbacks to the Jazz Age! How refreshing to see such talent from some of the younger set! Outstanding! Whether in NYC or Los Angeles, JB & the Showmance impresses! Brought our party back to the 20's! Josh, Miss Rose and their band were spectacular! I hired them for my husbands 40th Roaring 20's Bday party and they did not dissapoint. Our guests all raved about them and our 1929 home was brought right back to life. Hope to have them come play again! I highly recommend these talented and versatile entertainers. They complete any event. Emaculately dressed, punctual, friendly, engaging - pure star quality. Thank you Josh and the rest of your exceptional team. Our LA launch would not have been complete without your sparkle. Looking foward to the next time! Josh and the team are highly reliable, professional (good at communication too) and their performance was frirst class as remarked on by the exhibition manager. We will definitely be asking them to perform again at our next art fair. Thank you! I had the great opportunity to book JB & the Showmance Band for the school where I teach. We had a program based on highlighting music from some of Literature's greats - A Streetcar Named Desire, Coming Through Slaughter and Devil in a Blue Dress. Josh not only brought a band well-equipped to handle some specific needs, (like having some Buddy Bolden music on hand!) but they performed a great over-all program that captivated HIGH SCHOOL kids! Our students were dancing and hanging out and really enjoying the band! I would highly recommend this band for any occasion you may need. Josh runs a great business, is very communicative and DELIVERS! Our family, friends, and clients really enjoyed the band. We had the upright bass, saxophone, guitar, and drums, as well as Christi for the female vocalist. It was the perfect setup for our holiday work event. What a fantastic and professional band! They brought all their own equipment, their A-game and their incredibly classy vibe. I received multiple high compliments regarding the band over the span of the event from our artists and guests. Showmance made the event look good, made me look good and offered a special touch of refinement to a fantastic private art festival. I especially appreciated the band leader's initiative to coordinate all the details with me before the event to prepare for a smooth performance. Groovy band that set the mood for our big day. We hired Showmance for our wedding ceremony and cocktail hour last month. Josh was my contact. He put together a set list for cocktail hour that gave people a chance to mingle and drink while listening to some easy listening classics. He acquired the ceremony songs I selected and arranged them for his fellow musicians. I have a musical theater background and sent out a detailed timeline for everyone to run it like a show. He totally got that. He showed up on time to set up the equipment (in the sweltering Fullerton heat). He was helpful in conducting the band during the ceremony so that it timed out with what we were doing without any awkward pauses. All the musicians were polite and professional, and drove from LA to play the wedding. The pricing was definitely reasonable for such easy to work with professionals. And we allotted some extra money for them so they could get dinner before the wedding started. Between him and I, our vision came true. And I got to walk down the aisle to my favorite song "only hope". I would most definitely hire them again, or recommend them to others in the LA/Long beach/OC areas for their special occasion music. No words can fully express what this incredible group did for us. You truly had to be there. To feel it, to experience it. They are the most flexible, game, fun, creative, and talented group of people we could have ever hoped for on our big day. They learned an incredible amount of new songs that weren't mentioned on their set list, all of them perfectly in line with the style we asked for without us having to name any specific examples. Post Modern Jukebox, eat your heart out. Our guests went crazy for them, and eventually the managers of our venue had to kick us out because our guests were dancing and laughing right up until the last possible moment. You could tell they were having fun, and that fun was infectious. They were absolutely the beating pulse of the night, both during the pre-reception cocktail hour and the end of the night free dance. But all of that is only the beginning. These people went above and beyond to make our night unique and memorable. No matter how many ridiculous requests we made and ideas we had, way past what you could reasonably expect a wedding band to agree to do, they were willing and eager to tackle with creativity and zeal. They dressed up in character, performed in character, walked around and talked to our guests in character, memorized lines and contributed to skits during the night, and managed a very complicated iPod playlist for the intros, dinner service, and first dances. Now I'm not saying you should make them do all of that, because that would be mean. What I'm trying to say is that this band will do whatever it takes to give you the customizable, one of a kind reception of your dreams. They really care, and I will be recommending them to my friends for as long as they are still a band. Hire them. If you do you will not regret it. You'll end up here writing a glowing review like this one. Thank you so much for everything! Showmance band was a great addition to our wedding! Josh is a great leader of the band and worked with me to ensure we got what we wanted. He and the entire group are very talented. Thanks! Thank you Elaine!! We love you! Showmance created a highly entertaining atmosphere for our wedding with music ranging from soft, easy-listening standards to fun, up-beat dance music! They had our entire reception on their feet, dancing and having a blast! The band leader, Josh, went above and beyond to help with the sound for the ceremony and to get all of our special requests exactly right. It would have been way more complicated for us without all of his help. We would definitely hire them again in the future and recommend them to anyone hosting an event! Showmance were great! Thanks guys! The whole group loved the show! Can't wait to catch you guys again! We had the great privilege of having Showmance play for our Crave Expo! We are an expo where we bring in many event/wedding planners to our show, and even they were thoroughly entertained by them. They were very energetic, talented, and most importantly fun! They brightened up our show and played the perfect blend of modern, jazzy, blueish feel to our show that we were trying to captivate for our ambiance. Overall GREAT!!! Thank you guys! Showmance is genial, professional and talented. I booked these gentlemen as a trio for my yearly dress-up holiday party. They showed up on time, worked with me pleasantly about being jammed in next to my Christmas tree and provided perfect jazz trio music for my event - along with some pop standards thrown in. I'd recommend them for any event (except for your holiday party early next December, because I want to book them for mine next year!). I especially liked the option to have upright bass and their ability to play at what I call "living room volume." Made our Wedding reception perfect! Contact us! We will go over everything to make everything as smooth as possible. Load in, Performance, Breaks, special requests, option of a sound tech or band manager, option of emcee elements, and closing time and Load Out. We got it covered. We can customize everything according to your needs and desires for your event. We can't wait to give you your dream live entertainment experience! JB & THE SHOWMANCE BAND has produced shows at Dreamworks Animation, the Cicada Club, the Majestic Downtown, Paramount Studios and for the Motion Picture Television Fund as well as many private events, parties, and celebrations. JB & THE SHOWMANCE BAND has within its ranks players who have inclusively played with Wynton Marsalis, Robin Thicke, Quincy Jones, Beyoncé, Sleep No More, and Post Modern Jukebox while performing at venues such as Carnegie Hall, the Hollywood Bowl, and Disneyland and in countries as distant as China, South Africa and New Zealand. (In no particular order): Edith Piaf, Louis Armstrong, Tony Bennett, Frank Sinatra, Ella Fitzgerald, Miles Davis, Sonny Rollins, Cab Calloway, Helen Kane, Jane Monheit, Diana Krall, Jobim, Steve Tyrell, Wes Montgomery, Doris Day, Harry Connick, Jr., Post-Modern Jukebox, Count Basie, and so many others.